This double story house features 3 upstairs bedrooms with 2 bathrooms. A deck runs the length of the upstairs area. On the ground floor, you will find another double volume bedroom with a loft above the ensuite bathroom. On entering the ground floor you will find yourself in an entrance way that opens up to a living room with a fireplace and dining room and kitchen. In the living room, you will find an inside braai for your convenience. The house also has a scullery a double lock up garage with entry into the house. 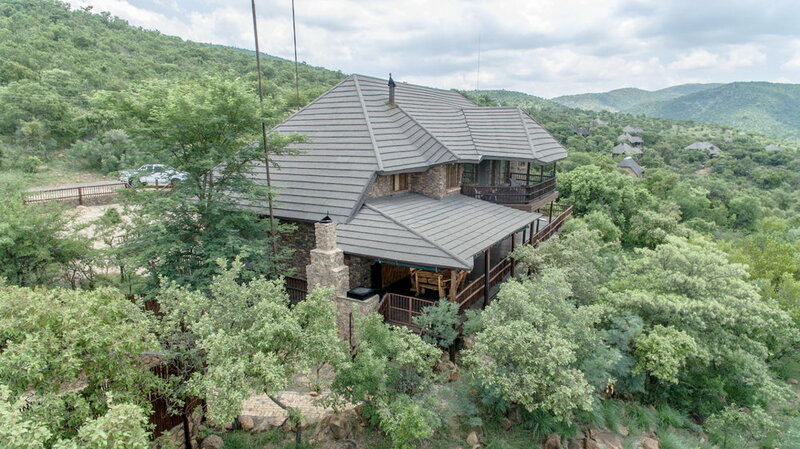 The bottom covered deck has another build in braai and the house also has a large boma with seating for up to 20 people. All furniture included in the price.